Disgaea 2 [Developed and published by Nippon Ichi (Software; America, respectively)] is a tactical, grid-movement JRPG with loads of depth. 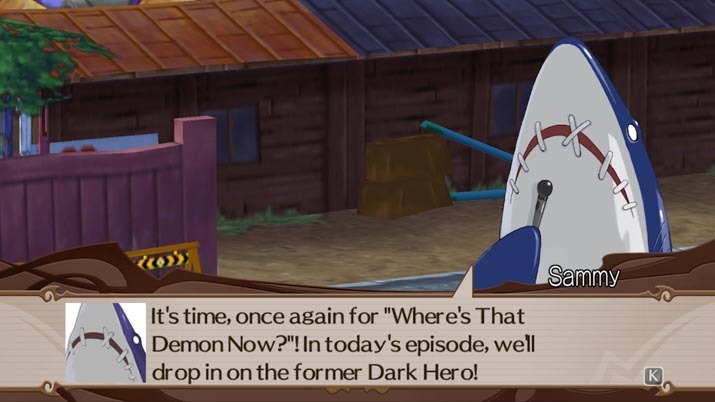 It is also a PC port of the PSP game Disgaea 2: Dark Hero Days (it also includes all the content from Disgaea 2: Cursed Memories, but I have yet to play this one). A review that gave proper justice to this title would be long and include the Disgaea series. To state it briefly, there has not been one Disgaea that I did not enjoy; each one entertains, and I was hooked the moment when I played one for the PSP. I am glad that this series is making its way to the PC. It can be humorous at times, not only the text itself but also the way it’s brought to life through voice acting. Thanks to Nippon Ichi’s solid execution and because it’s backed by a cohesive and engaging storyline, you’ll grow fond of the characters -- even when you shouldn’t. That’s because the cutesy toons you encounter in Disgaea 2 are, at first, always easy to root for, yet some turn out to be deceitful, if not outright evil. Let me put it this way: in most RPG’s, there is tension often found among party members; in Disgaea 2, they help one another, only to backstab each other harder later. How you acquire, purchase, and upgrade items is unique. What’s available to buy changes each time a shop's inventory is accessed, which means patience is a virtue and will, every now and then, earn you powerful items. Restoring health and Spell Power (SP), and reviving characters, also have their own reward system with prizes that can be claimed at the hospital. 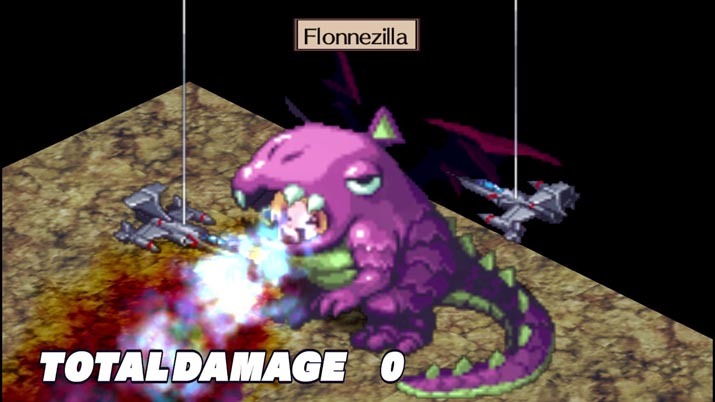 A randomly generated map can be accessed later on – as with other Disgaea titles, and is known as the “Item World.” It serves as your go-to upgrader, your point of reference in your quest for better gear, and its interactive features are most convenient: it displays a series of items you can select which you can then take with you to battle. Coming out victorious improves your equipment's stats. Furthermore, at the end of each battle and once your primary objective, such as clearing the map of enemies, has been completed, random items, HL, and/or EXP, are received based on a player's bonus level. These can then be used during battles, though only while you’re getting through the particular area in which you got them. Once the area is cleared, bonus stats are reset to zero. Speaking of characters, there are over two hundred classes from which to choose, which is a staggering amount. Some are simply variants (for example, the skulls classes, which are mages, have three different colors for the three different elements) or are stronger versions of other classes, but still. This affords a tremendous amount of depth and customization of one's party and fighting style. There is the all-too-iconic prinny [EN: プリニー Purinii] to recruit, which is a must-have (simply because they are iconic and they explode when thrown!). Some of the cutscenes feature superb, sometimes even solemn and atmospheric, backgrounds. If there were an art book in print that featured the scenery of Disgaea 2, I would buy it in a heartbeat – that is how well done they are. There is a digital artbook one can purchase and download from Steam, so that is something to check out. I have not checked out the artbook from this one, but I do have the first Disgaea's (for PC) artbook: it does not contain the type of artwork that I am referring to, but it does include some nice sketches and illustrations, and some humorous descriptions of various characters. Hence, if Disgaea 2’s artbook is like the first, there is some extra enjoyment to be had by it. Skills are obtained and upgraded by leveling up a particular weapon type and by using the skills themselves. This is a bit different from most other RPGs: often, one must level up the character to access better abilities (such as in Diablo II, Borderlands, or Torchlight), or pay gold to buy the ability (such as in Final Fantasy II, among other titles from the Final Fantasy series). This mechanic compels the player to use specific characters. It is useful and very worthwhile to use skills in some of the early battles simply to level up your characters' skills—that red skull character can be a bit deadly early on; he has long range and can target a ring of enemies with fire. 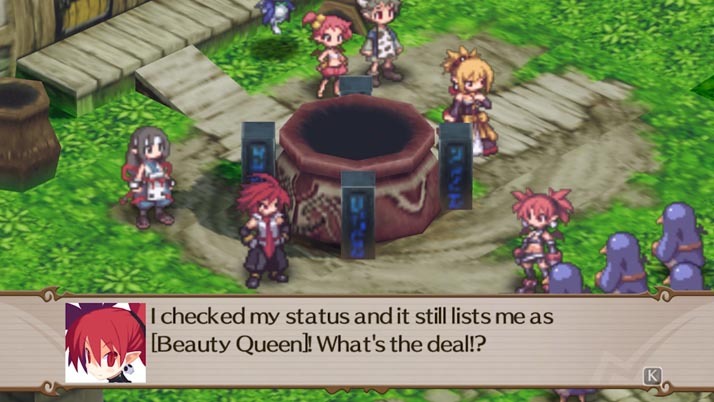 The combat mechanics and overall balance are nicely done, one can recruit characters and give them stat bonuses, there is so much depth of Disgaea 2 to be explored, and the replayability is fairly high, though at times one needs to grind in order level up to defeat a difficult boss or to farm for items and money. Grinding can always be tedious, but at no point did I feel bored to the point of not wanting to play again. However, the bigger maps are somewhat of a turn-off, particularly for those that like close-quarter combat in tactical, grid-based RPGs; a decent bit of time is dedicated to moving one's characters, clearing out a small mob of enemies, moving again, and maybe yet again. This is not a major issue, but does detract from more intricate battle. On the other hand, a bigger map allows for more general tactics; for example, when it comes to preparing characters by the use of buffs, attacking from afar, approaching an upcoming mob – which characters should stay back, which should any flank an enemy from the side, and so on. Disagea 2 is a fantastic release that plays quite smoothly and has a tremendous amount of depth and playability to offer. Granted, the combat mechanic can seem repetitive, but there is a staggering number of classes to recruit, along with new abilities to unlock and level up, and new maps and aspects to explore. As a Prinny might say: download the demo and check it out, dood!